I feel we are on the brink of separating into two parallel worlds. The polarity is increasing. The negativity of fear and violence will accelerate. At some point, very soon, the people on the light side, i.e., of compassion and peaceful co-existence, will quit trying to reform the dark side and form a new World in parallel. When we talk about positive things like peace and love, we are in another world of a higher vibration. Whenever we raise our vibrations through awareness, meditation, healing, clairvoyance, intuition, then we are in a better world of higher vibrations. So it is as though two worlds are co-existing here, of opposite polarity. The negative and the positive. There are only two ways forward; reform or destruction. The earth cannot sustain any more violence. We are on the brink of WWIII. Everywhere I look, control and extremism are growing and infiltrating. I have been frustrated at times, trying to bring out the real truth hidden behind the show. By joining others' voices against the falsehood, lies, control by the elite and evil doers. There is so much that is dark that it is over-whelming. Whenever I engage myself in being the voice against the darkness I've seen my own vibrations get dragged down. Then I have to balance my energy by assimilating with the light and love. It seems a vast majority of the earth is in deep darkness. At the same time, a small percentage of people are rapidly evolving into higher states of consciousness. They are established in love, forgiveness, service and wisdom. So now I have more clarity on what's coming. The spiritual communities, and "seers" I am in touch with have been predicting these parallel two worlds. 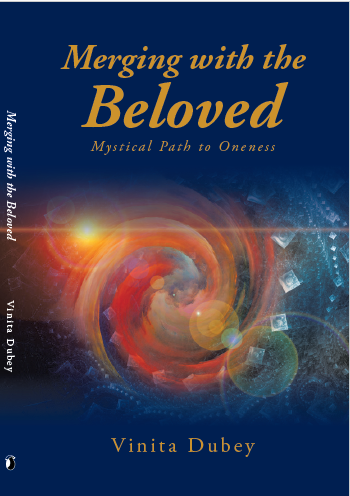 Soon after these thoughts came to me, I experience synchronicity of seeing a post on Dolores Cannon's book, "New Earth," and another post on some channeler talking about a new earth emerging. It is like birthing a new planet, or like cell division. Once I had a vision of this new earth. I saw the atmosphere of the earth in a pale green color. It was of a higher dimension, like an astral being, not the physical 3D world we have. I was shown how I go in and out of that dimension as I meditate, or whenever I'm in a higher state of consciousness. I saw many people going in and out of this dimension and some established there. The messaging today was clear. I need to abandon the ship that can't be rescued. I need to jump onto the ship that's being built. I have to focus on building this new ship with the pillars of truth, light, compassion, service, peaceful co-existence, non-violence, cooperation, and wisdom. I see it becoming a reality, All the people who are in positive vibrations of love are already in the new earth that is superimposed on the old earth. We must not get caught up with the fear and destruction of the old earth. We need to cut off, break off, so that the new earth breaks free. So this new year I am quitting on reforming and focusing on forming the new Earth by raising my vibration and choosing to engage in positive vibrations rather than getting entangled in the negativity of the old earth.